I didn't receive a statement, how can I check my account balance? Why do you need proof of income to open an account? Where can I view your deals? How do I buy MRP Mobile airtime? How can I pay my MRP Mobile account? Where can I find your insurance products and premiums? Do I need a MRP Money account to take out insurance? How is the insurance premium charged for account holders? You can open an MRP Money account in-store or online. To apply, you need to be over the age of eighteen, permanently employed and have one contactable land line number, as well as your ID number. You will also need to supply your latest 3 months’ proof of income. We are governed by the NCA (National Credit Act), which means that by law you have to submit your latest 3 months’ payslips or bank statements. We’ve made it so easy for you! Simply send a clear photograph of these documents to us via WhatsApp on 084 484 4845 or email them to [email protected], fax to (031) 328 479 or take them to your nearest MRP store. How do I supply my proof of income when applying for an account? We’ve made it so easy for you to submit these documents! Simply send a clear photograph via WhatsApp to 084 484 4845, or email them to [email protected], fax them to (031) 328 4790 or take them to your nearest MRP store. Can I use my store card to shop online? Yes, you can, but you need to link your store card to an online shopping profile first. Sign up with your MRP Money account and follow the steps. You will need to provide your ID number and account number. Can I buy airtime on my store card? Yes, you can! To buy MRP Mobile airtime or data on your store card, dial *140# and choose the “buy airtime or data bundles” option. You can also buy airtime online by logging in to your MRP Money account. I didn’t receive a statement, how can I check my account balance? You can view your balance and statements online by logging in to your account. You can also call us on 08610 66639 and we’ll email or SMS your statement to you. To check your balance on-the-go simply dial *120*410#. Can I use my MRP Money store card to shop at Miladys and Sheet Street? 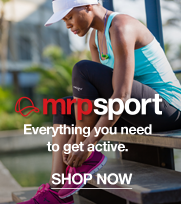 You can only shop with your MRP Money store card at MRP, MRP Home or MRP Sport (in-store and online). For a Miladys store card, apply online or visit any Miladys store. For a Sheet Street store card, apply online to visit any Sheet Street store. How can I apply for a credit limit increase? Apply for a credit limit increase online or call us on 08610 66639. You will need to submit your latest 3 months’ payslips or bank statements to [email protected] or fax them to (031) 3284640. You’ll find your account number on your store card. It’s the printed, barcoded number. How long does it take for an account to be approved? It takes between 24 and 48 hours for an account to get approved, provided we have all the relevant documents and information. How long does it take for EFT payments to reflect on the accounts? It takes between 2 and 3 business days (this excludes weekends and public holidays) to reflect, as long as all the details are correct. When is payment due on my account? Your account payment is due on the last day of each month. Do you have to be employed to open an account? Yes, to open an account you do need to be employed. You must also be over the age of 18, have a valid ID or Passport, have a fixed telephone number (home or work) and have a home or postal address. How will I be notified when my details are updated on the Credit Bureau? To get notified and to get the references, please email your request to [email protected] or call 08610 66639. What is the turnaround time for closing an account? Do you offer debit order facilities? No, we don’t. All payments can either be made in store, via bank deposits or online. Who can I contact to make payment arrangements? How long do payments take to update using the USSD string *120*410#? You can email all questions about the USSD string to us on [email protected] and we’ll get back you. View all the latest MRP Mobile deals online or give us a call on 0800 000 430 and we’ll fill you in. If you have a MRP Money store card dial *140# and choose the “buy airtime or data bundles” option (non-store card holders can only buy data bundles on *140#). Store card holders can also dial *130*410# and follow the instructions (this number is only for buying airtime). Store card and non-store can holders can buy airtime at any MRP, MRP Home, MRP Sport, Miladys and Sheet Street store. We will debit your bank account directly on a date of your choice with the amount owing. Why don’t you stock a particular phone? All the current MRP Mobile deals can be found online. If we don’t have what you’re looking for, give us a call on 0800 000 430 and we’ll do our best to assist you with what you’re looking for. Why am I getting over-charged on my MRP Mobile bill? If you’re getting overcharged, please email us at [email protected] for us to investigate the problem for you. What are the MRP Mobile banking details? The reference is your account number. Why am I getting charged for something I didn’t ask for? If you’re getting additional charges, please email us at [email protected] and we’ll investigate the problem for you. No, you don’t. We also offer debit order facilities for our non-store card customers. View our range on insurance products online call us on 0861 000 518 for more info. View all the MRP Insurance products, premiums and everything else there is to know online, or give us a call on 0861 000 518. How do I apply for MRP insurance? You can apply online right now by clicking “I AM INTERESTED” on the relevant MRP Insurance product(s). You can also email us on [email protected] or call 0861 000 518. How long after taking out the policy can I claim? Each policy has different waiting periods, please email us with your query on [email protected] or give us a call on 0861 000 518. We’ve made it so easy for you! As a MRP store card holder, we’ll conveniently bill your insurance premiums straight to your MRP Money account. How do I cancel my insurance plan? Complete a Cancellation Form in-store. You can also email your request along with your details to [email protected] or give us a call on 0861 000 518. Your Cancellation Form will then need to be captured by MRP Insurance and you’ll receive an SMS letting you know when it has been. Remember, that there is a 30 day waiting period for cancellations. How long will it take for me to receive my policy document? Policy documents are sent out within a 30 day period. How can I submit a claims form? Simply complete a Claim Form in-store. Alternatively, you can email [email protected] and request a Claim Form, you will then need to fill it out and submit it back to the same email address, or you can fax it to (031) 328 4473. You can also give us a call on 0861 000 518 and we’ll help you out. Need to ask us something about an order or your MRP Money Account? Simply get in touch with the details below. 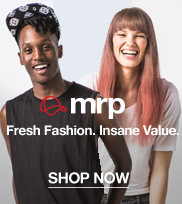 Mrpmoney a division of the Mr Price Group Ltd is an authorised Financial Services and Credit Provider. MyMRP is the value you love in a store card, mobile network and insurance products. How can I apply for an account? 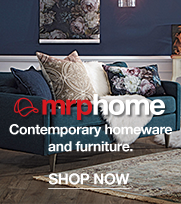 You can apply for a MRP Money store card in-store or online, simply by clicking here.